Otherwise known as "my last day of freedom before back to school craziness". Doesn't that sound soooo dramatic? So..why not participate with Michelle for some Sunday smorgasbord fun to calm me down?!? Last night, I attended a great GNO with my workout group. We had a blast. And, one of the highlights was playing this...a life size Jenga game! I mean...who doesn't love jumping at the chance to be a kid again. Just for the record...it was NOT me that let it fall...not this time anyway. 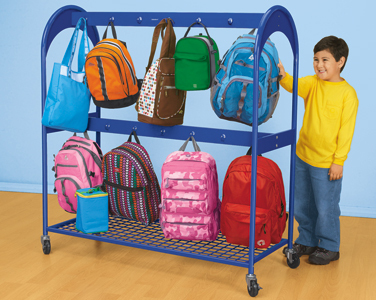 My teamie and I are desperately trying to order last minute pieces for our new classrooms. One of things on our list is this. Do you have one in your room? Do you like it? Is it worth it? Our walls in the new learning cottages are not the strongest, and a few teachers tried to put up hanging wooden cubbies last year. It didn't work out so well so we have been looking for alternatives. Our goal is to roll them into the hallway that connects our two rooms so that we can save some space throughout the day. I finally got around to typing up the first few days of plans for B2S. I really like how we are only going to be in school two days before the weekend. This gives me time to really focus on establishing a good classroom community while helping the kiddos ease back into the classroom routine. Not to mention that we are all going to be exhausted and needing that weekend break to recoup for week two! 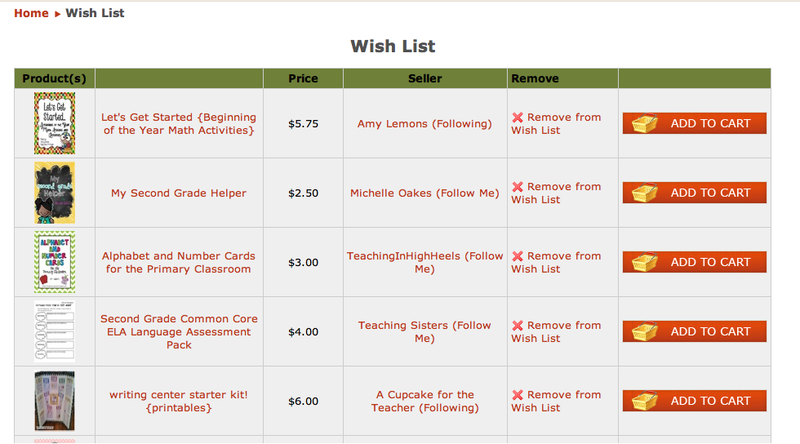 And, I have made my list of things that I want to snag at the TPT back to school sale! 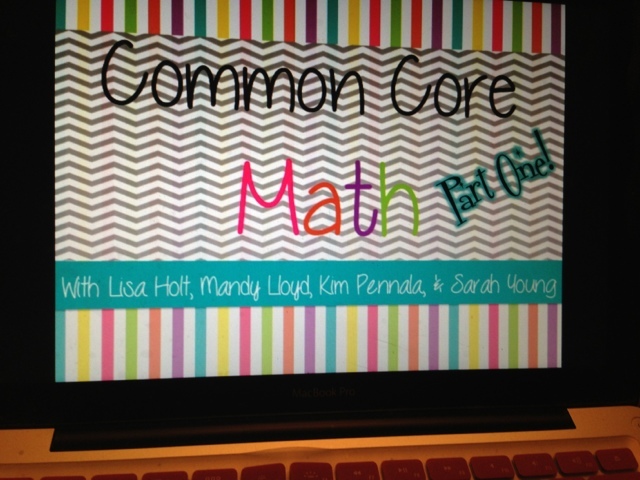 I have frantically and nervously getting ready for presenting at Common Core Math PD this week with some awesome ladies from my district. I am so blessed to work with some amazing ladies who are so talented. There is something to be said about awesome collaboration! Finally, I made these beauties this week after seeing what Nicole, from First Grade Frenzy, shared in her Monday Made It post! 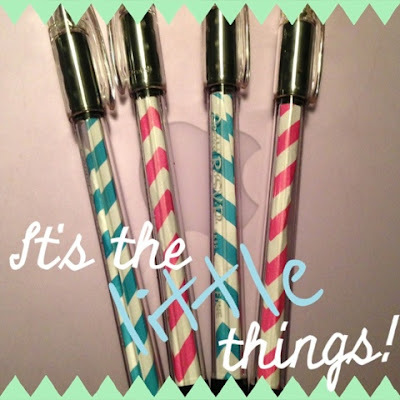 They are super easy to make and so cute!! Well, there is my random Sunday smorgasbord! I am so glad that this summer has allowed me to begin this blogging journey. 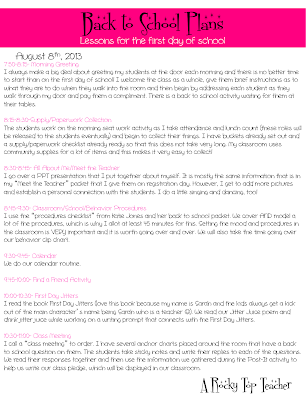 I cannot begin to explain what this blog and the educator blogging community means to me. I thank each of you who visit my blog, send me emails, communicate through Instagram, and provide me with ideas and inspiration galore. I could not and cannot do it without you. I wish everyone a happy rest of your summer and a great start to our new school year! Hey girl! I found you through the Sunday Smorgasbord linky and am now following your blog. I am a Huntsville teacher so we aren't too far from each other! Good luck with your presentation! I'm sure you will do fabulous! 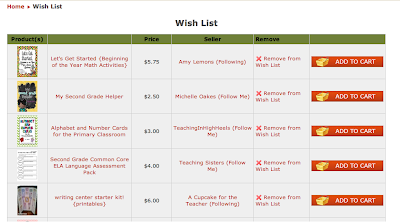 Love your plans and thanks for reminding me the TPT sale is upcoming! I only have like 150 items on my wish list to pick through lol! Hey Sarah!!! That human Jenga set is AMAZING!!! That's awesome that you got to present somewhere!! That is something I really want to get into!! It's so much fun and invigorating to share ideas with others! You are absolutely right about the blogging and teacher community online!! It definitely made for one of the BEST years I've had! I'm so glad you jumped on board with your blog! It's super cute, and I love to hear what other 2nd grade teachers are doing! Hi Sarah! I found your blog though the linky! It caught my eye because I went to UT! 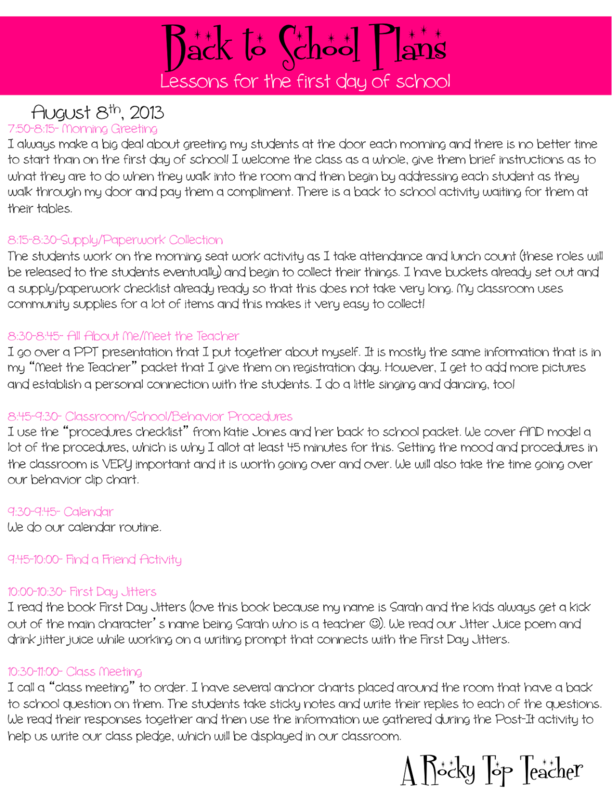 Love the look of your blog and cant wait to read more! I am your newest follower! GO VOLS! Thanks so much! for stopping by. Ready for an awesome VOLS football season? I have a feeling it is going to ROCK!!! I found your blog through the Sunday linky. Loved reading your post. I am also a second grade teacher and can't wait to begin this new school year. 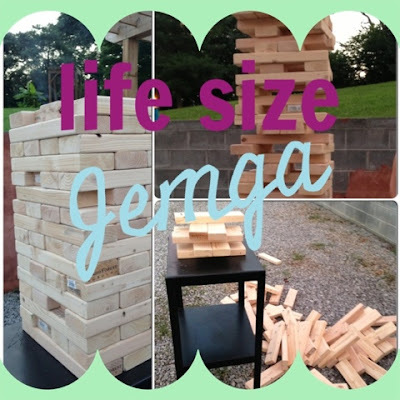 What a fun game to play AND it being life size. Impressive! I am a new follower. Come and visit my blog if you have time. Love the huge Jenga set! Awesome!! That Jenga set looks like so much fun!! What a great post! I'd love to hear more about your CC math PD! I have to present one in December and am looking for ideas! Don't forget, you'll be featured on my blog tomorrow! Thanks, Dana! I will send you an email about the CC Math! It took me far too long to see this post! I have been holed up in my classroom getting ready for the year. The kids don't start until August 26th... I can't imagine getting back to school so early in August! I LOVE how your pens turned out!! Hope your school year is going well thus far! Nice sharing its fun to be hare. Really amazed by your knowledge about gaming. Here are few website which have amazing online games for kids online. Kids can play these games for learning and educational purposes. Have fun by visiting. It is such amazing website. Just Click Here and download more stuff.